H65 is rated 5.0 out of 5 by 1. What is the modle # of the handle insert? Hi, I'm only looking for handle inserts of the model# H65 and model# H25. What's the modle #s of this two handle inserts? Thank you so much! Thank you for your question. 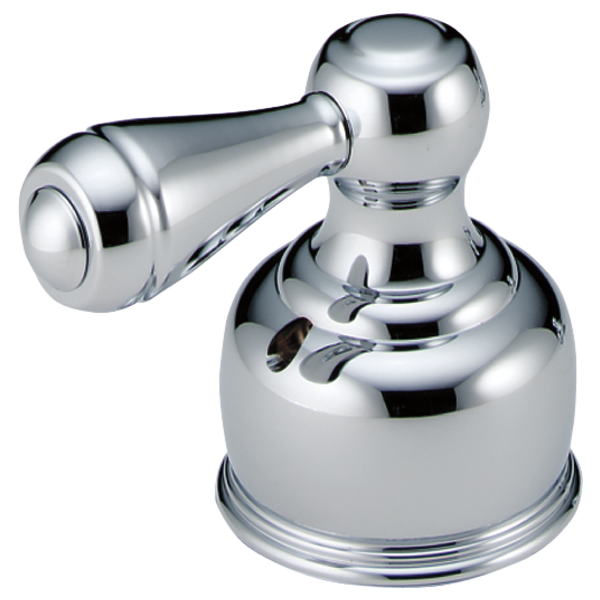 Both Delta Faucet models H65 and H25 are complete handles and their inserts are not available as separate parts. Do you sell the handles by itself? Hi, I just got a house but the seller took off all the handles. I was wondering if you sell the handles by itself and the price please! Model # H25 and Model # H65 Thank you. Thank you for your question. You are able to purchase the handels by themselves. Delta Faucet part # H25 and H65 are available for order at your local retailer or wholesaler. What washer &amp; spring part numer is used for 2767-LHP H65 CW Roman tub faucets? Can I purchase replacement parts for only the brass part of this lever? What is the product # for the base of this kit that adheres to the vanity? I recently purchased a 15 year old home with these fixtures. I want to change to all chrome, but currently have this kit with the brass base. I also have the coordinating faucet kit that has brass accents. I wondered if there were replacement parts for just the brass accents for that as well?